Nicole regularly Skype's parents who live in other parts of the country or other countries. A lot of local parents also take advantage of Skype/Facetime/Phone so they do not have to get out n about with baby, toddler and pram. Consultations are a fabulous opportunity to ask Nicole questions that relate to your specific situation and receive first-hand advice from the expert herself. Parents who choose a consultation with Nicole often comment that they feel ' confident and that it is great to have an expert to talk about what their baby / toddler / child is doing and to get great strategies on how to help', incredible' clarity' is often mentioned in what is otherwise a sea of conflicting information and if parents have a sleep consultation they often say ' It changed my life!' and they can truly move on from the anxiety-inducing sleep deprivation they thought was normal with a baby. Solving Sleep problems in Babies – short day naps, frequent night wakings, c0-sleeping, dummy/sucking problems, rocking to sleep, getting stuck on tummy or back, wrapping, sleep temperature. Baby Consultations – one on one consultations covering routines, feeding, tiredness, sleep, lack of sleep, sleeping cues, safe sleeping, formula feeding, breast feeding, mixed feeding, self-settling, crying, catnapping to name some. Baby Coaching – online and phone support for new parents, a range of packages to choose from or tailor made just for you. For the first year of life, set your baby up for a great start! 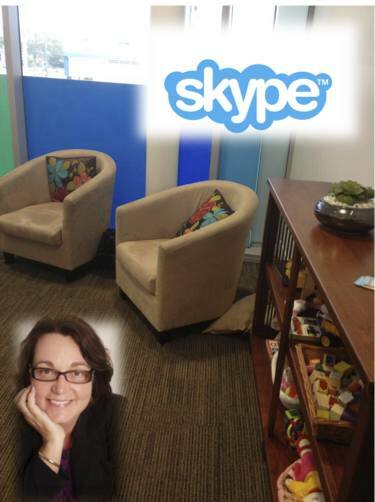 Try our online booking system to make a Skype - Facetime - or Phone appointment with Nicole Pierotti, click on this link and select your preferred day, your preferred time and pre-pay your appointment to secure your timeslot. It only takes minutes and parents find this option extremely convenient. Alternatively if you would like to meet Nicole in her clinic click here for our contact page & call or email us!! Our office hours are 9am-5pm Monday to Friday so call and speak to our great staff. As Nicole is a qualified Psychologist all appointments are claimable on private health funds OR you can receive a Medicare rebate with the appropiate referral from a GP. Please ask for more details. To contact us for an appointment request please fill out the form below and we will get back to you with a confirmed date and time as soon as possible. Please fill out the security code below before submitting.